America – the land of the free and home of BMW’s largest manufacturing facility in the world – is famous for being infamously oversized, gregariously hospitable, and tenaciously unwilling to yield to a challenge. America is a place where you do, or you die, drive or get left behind. After all, its very essence was moulded by the many epic treks across that span its length and breadth. Often also the subject of folklore and popular culture, some of the world’s most iconic road trips wind along the highways and country roads of the US mainland. One of the longest and most notable by far, is the drive from Chicago, Illinois in the northeast, to Los Angeles, California, in the west. And, at over 4,000 kilometres, Route 66 may well be America’s most famous highway, and evokes memories of the early era of the automobile, yet it is steeped in the nostalgia of roadside motels, mom-and-pop fuel stations and open expanses that are free of the blight of the American strip mall. It starts in Chicago and crosses eight states – including Missouri, Kansas, Oklahoma, Texas, New Mexico and Arizona – before ending, at a sign that says so, right on the Santa Monica Pier. Attempting a mega trail like this takes some ‘grit’, the logistical challenges alone – of travelling such great distances by car – should never be underestimated, and the choice of vehicle for the job needs careful thinking through. In this oversized land, there is no shortage of oversized cars to choose from, for any of the oversized road trips that beckon. Here, even everyday service vehicles would dwarf the largest bakkies we have, and, where an X5 is considered a large vehicle in South Africa, it’s considered to be little more than a standard-size family car in the States. 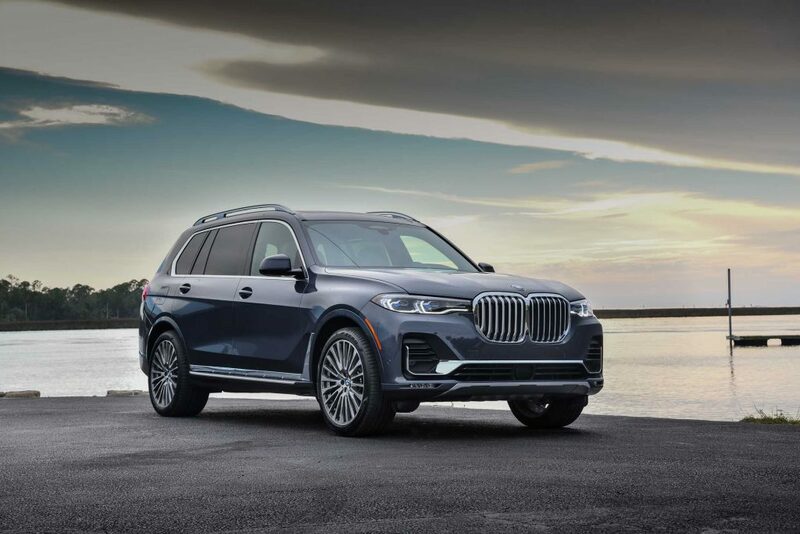 This makes BMW’s decision to launch the largest X-car ever, the monumental X7 super-SAV, on an epic road trip spanning nearly 6,500 kilometres and crossing 11 states, a logical if brave move. At 5,100mm in length and precisely two metres wide with a 3.1-metre wheelbase, the 1,805mm tall X7 should feel a fair whack more imposing than it turned out to feel during our 600-km driving stint from Tallahassee, Florida, through Alabama, Mississippi, and Louisiana. When it arrives in South Africa in May this year, it certainly will feel significantly more imposing than it’s Mercedes-Benz GLS counterpart, despite being 12 mm shorter than the Stuttgartian. 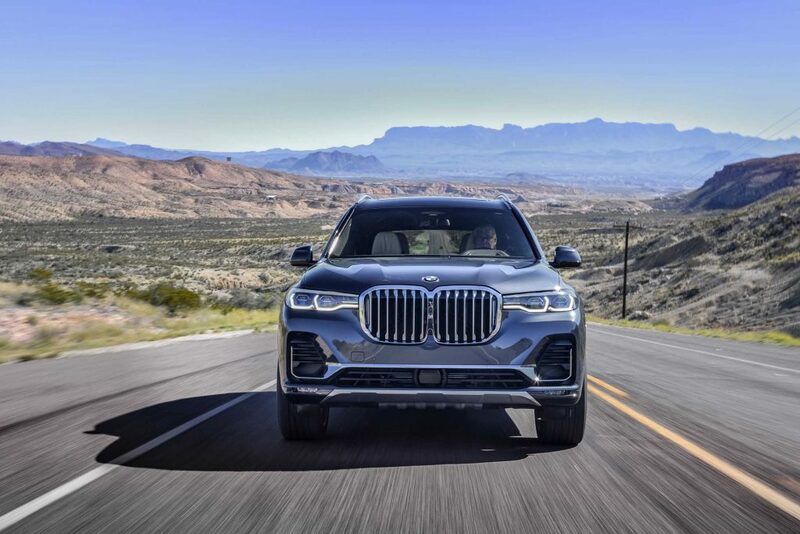 Some say that the large kidney grille will play a role here, and perhaps it will, but in all respects that X7 is larger than life, and being surrounded by unnaturally hefty vehicles in the American context takes nothing away from this car. I bet that if you’d been around to witness the birth if BMW’s first ever X-car, some 20-odd years ago, you would have asked the same question. 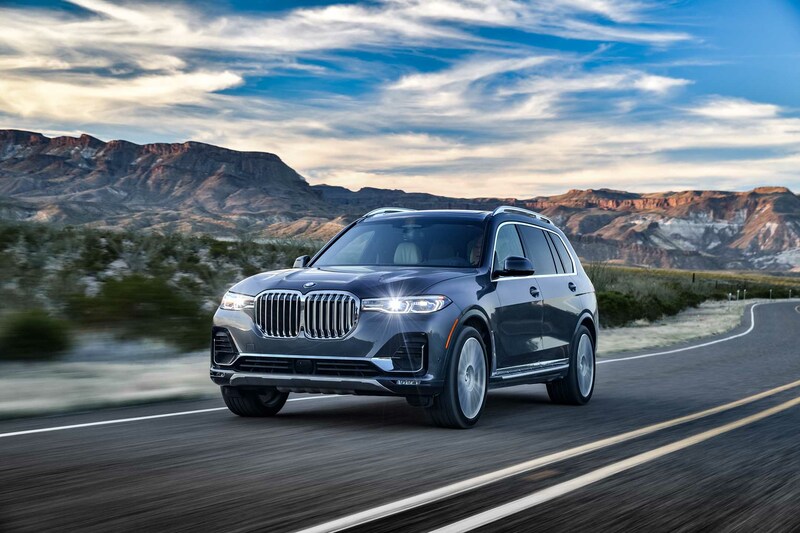 Yet, here we are two decades down the road of slow-n-steady sports utility dominance, and BMW as a brand has finally closed its X-circle of activity vehicles with a full set of numbers, from X1 to X7. In so doing they have created an entirely new model range, from scratch, in a mere 20 years. SUVs (or SAVs in the BMW line-up nomenclature) increasingly dominate the motoring landscape, and the Bavarian automaker has finally recognised that without a car to cater for the small but growing seven-seater vehicle market, their customers would simply look to other brands to fulfil that particular niche. Like its Mercedes rival, the X7 is intended to meld 7 Series luxury and exclusivity, with the practicality of an SAV, but with the ability to carry seven passengers – BMW’s first ever vehicle to do so. The seating arrangement is a simple 2+3+2 configuration; with access to the rear seats gained by electrically tilting the middle row seat forward and away, controlled either from inside the boot or from controls in the cabin. There is also a stylish 2+2+2 configuration, where the middle row bench is foregone in favour of twin individual chairs. Whether in seven- or six-seat configuration (we drove both), rear legroom for the third row of passengers is remarkably comfortable, with legroom being passable for kids or teenagers on a longer journey, and adult-sized frames during shorter trips. To allow for these variances, the middle row of seats is adjustable forwards and backwards, improving the rearmost passenger space experience. Climate control is an individualised four-zone system in the front-, and middle row seats, while an optional climate system, with separate controls, is available for the third row too. Seats are heated all-around as standard, while only the front seats are ventilated. Massage functions for the front seats complete the comfort efforts insofar as seating is concerned. Travelling between Tallahassee and Pensacola, Florida, on the first leg of our portion of the X7 grand tour, was a mostly flat and fast one – the most serious turns being the occasional on- or off-ramp jaunt between connecting Interstates. 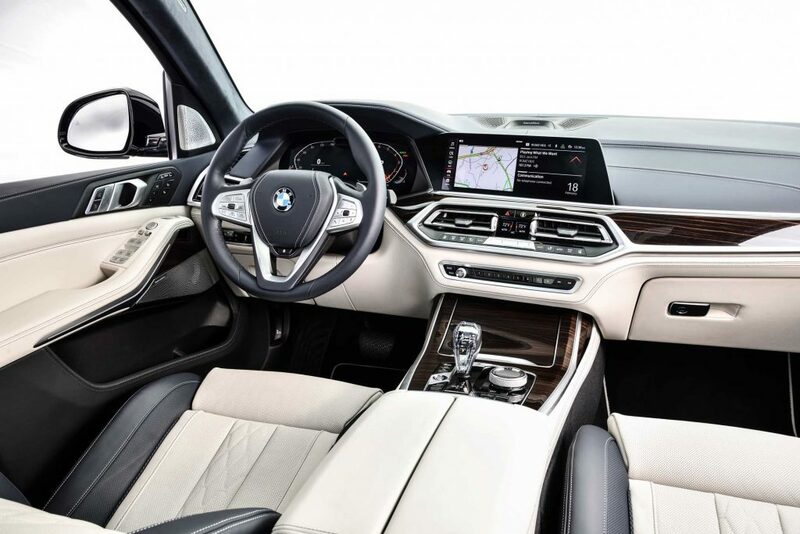 While this hardly offered the opportunity to put BMW’s claimed zero to 100 km/h sprint time of 5.4 seconds to the test, there was plenty of time to explore the X7’s not insignificant array of standard interior appointments. Among these, BMW’s AI-based Intelligent Personal Assistant is probably the most exciting. Not only cool because you can rename your assistant if you so choose (although this is a pretty nice idea), the personal assistant forms part of the X7’s standard seventh-generation BMW operating system with the Live Cockpit Professional interface featuring as standard, a digital instrument cluster and central infotainment screen, both measuring 12.3 inches, as well as adaptive navigation and a multimedia system with 20Gb of storage capacity. Thanks to the standard panoramic roof, the interior feels spacious and light, with four ‘vitality and relaxation’ modes always available to adjust the music, climate, massage function, and even fragrance disbursement throughout the cabin. Vitality and relaxation aside, the X7 cockpit is a symphony of technical modernity presented in a clear, contemporary manner that is both sophisticated in its capacity to learn, but also brilliantly simple to understand and use. Barring some road noise on rougher surfaces, BMW has created a cabin that is as peacefully isolated from auditory intrusion as can be expected from a luxury car. 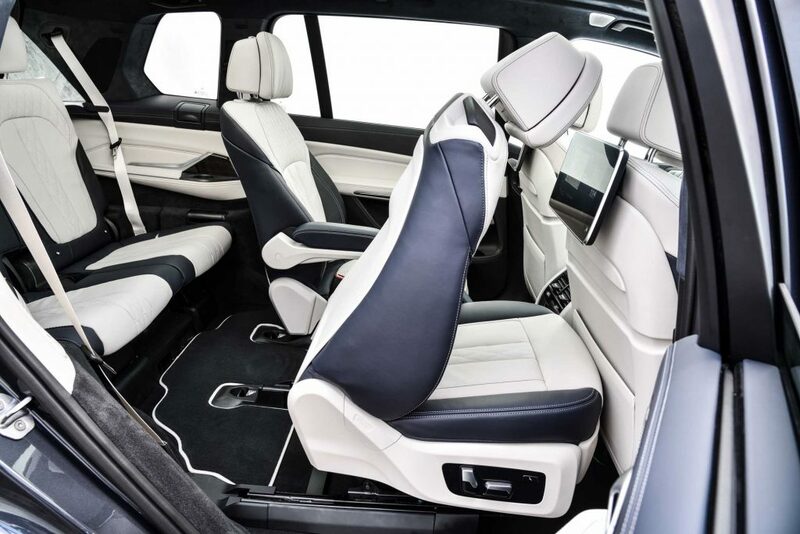 Adding to the experience, all trims feel exquisitely crafted and solid, and the commanding driving position reasserts the X7’s dominance over ‘lesser’ X cars, as much as the 7 Series sedan commands respect over its sedan stablemates. The southern edge of the continental United States that borders the Gulf of Mexico is a violent if beautifully demure landscape. Prone to being ravished by the occasional hurricane, these ‘Gulf states’ suffer their share of nature’s wrath but can be equally serene at other times. Beyond Pensacola’s Navarre Beach – billed as Florida’s most relaxing place – the second leg of our X7 launch road trip crossed three state lines in one afternoon. Through the cities of Mobil, Alabama, and Biloxi, Mississippi, our international launch fleet was petrol-driven – comprising the xDrive40i with its 3.0-litre six-cylinder petrol (250 kW), and the 340 kW xDrive50i – and, unfortunately, we did not get to drive either of the two turbodiesel models heading to SA, namely the 30d and the M50d. Like other xDrive-equipped cars, the X7 is designed to perform smoothly in general driving conditions and admirably in off-road conditions. Although our route did not include any of the rough stuff, the xDrive permanent all-wheel drive system that is fitted to all versions, combined with a smooth-shifting eight-speed automatic gearbox, will likely make the odd off-road outing a smooth affair. 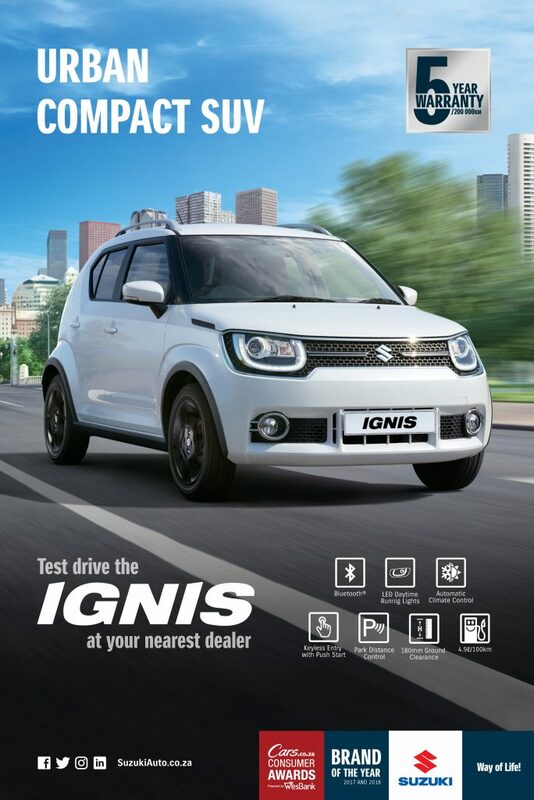 The vehicle can even operate in rear-wheel-drive-only mode for added efficiency when AWD grip is not needed. As much as one would avoid serious off-roading in a rival seven-seater SAV saloon, we would shy away from straying too far off the blacktop simply due to the sheer size of these cars. It’s not a question of capability, as the xDrive30d intended for South Africa can be ordered with BMW’s optional Off-Road package, but rather of wheelbase, ground clearance, and weight. Although our launch drive was mostly a test of the X7s smooth ride quality, rather than its dynamic ability, the availability of various driving modes (as with all contemporary BMWs) puts the car’s dynamic systems at your fingertips. Sport, Comfort and Eco Pro mode grant you various levels of agility, while the individual mode lets you tailor engine mapping, gearbox behaviour, and air suspension tautness. If you intend to use your X7 as a highway cruiser, then the M50d should be your chosen weapon. Powered by BMW’s sonorous 3.0-litre quad-turbo, the car will power through the zero to 100km/h sprint in an almost impossible 5.4 seconds, effortlessly sailing on to its limited top speed of 250km/h. Should lots of gravel and off-roading be in your future, perhaps consider, instead, the wound down version of the same engine fitted to the xDrive30d? As mentioned, with the optioned Off-Road package comes more rugged underguard elements and four more driving modes namely xSnow, xSand, xGravel and xRocks. Some unique off-road assistance graphics and camera displays are also included as per the system currently available on the X5. While we joined in a mere 10% the fun of the X7’s cross-continental soiree, ending our journey on the eclectic streets of Baton Rouge, Louisiana, we’re convinced of the X7’s place in BMW’s line-up of sports activity vehicles, if not entirely convinced of its oversized looks, especially at the front, where the biggest ever kidney grille threatens to munch away at everything and anything it encounters. But, looks aside; the X7 journey from Spartanburg to California is merely the beginning of the journey for BMW’s most extravagant off-roader yet. We’re not expecting it to have as massive a sales impact in South Africa as the X5 or X3, but those BMW enthusiasts who command attention and demand a life-sized car, will get more than they pay for, and then some.